Enjoy taking a photo while wearing Samurai armor in Tokyo. This studio provides various types of Samurai armor and a professional will help you get dressed. Also you will have the option to try walking outside while wearing the Samurai armor. You'll be able to go to the famous Shibuya crossing and get everyone's attention. Samurai armor (Kacchu armor) is one of the most valuable and historical artifacts in Japan. Samurais were in the center of power, especially during the Edo period when there were no wars, and Kacchu armors were perceived as a status symbol. 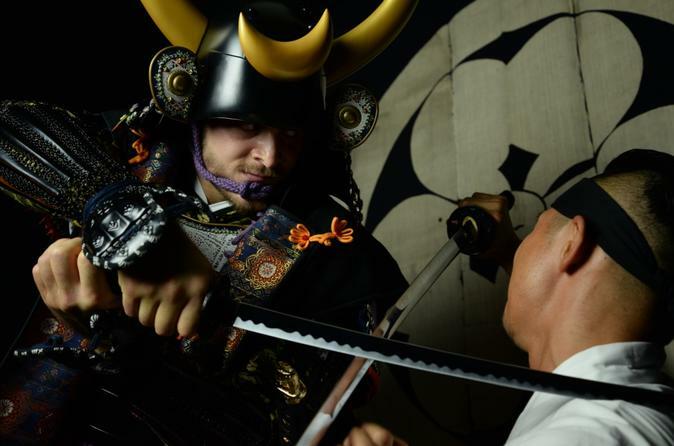 During this experience, you will be able to take an exclusive photo with Samurai armor. First by selecting your favorite Samurai armor from 7 unique types of armor and then by choosing a Japanese sword to hold. Then, the professional dresser will help you put it on. After your photo opportunity, you will be able to go outside with the Samurai armor. You will visit the Shibuya crossing, the biggest intersection in Japan.